[pullquote]The airline will increase scheduled services by expanding its network, which will include the development of secondary airports, as well as growth in charter traffic and ad hoc charter services. [/pullquote]Adria Airways has outlined its future plans after publishing its 2015 financial report this Monday, revealing a 9.2 million euro net loss. Under its new owners, the Slovenian carrier plans to become a leading regional airline by growing in three segments and connecting southeast Europe to the world. It comes after the company initially downsized its operations this year. Furthermore, the carrier intends on putting a greater focus on Ljubljana as a transfer hub for passengers from the Balkans and eastern Europe towards the continent’s main airports in the west. Additional emphasis will be put on management costs and cost reduction, including cuts to unnecessary passenger services and aircraft handling services. 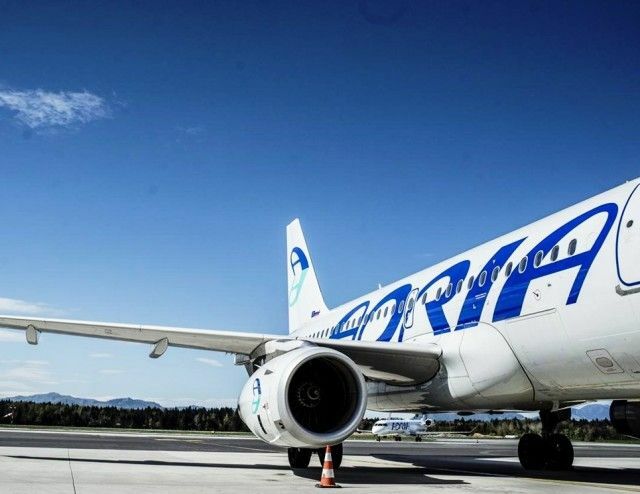 Adria plans to boost frequencies on several routes out of Ljubljana this coming winter season, including Amsterdam, Paris, Sarajevo, Warsaw and Zurich, but will not launch any new destinations by year’s end. Adria’s CEO, Arno Schuster, says the carrier is on the road to recovery. “Under new ownership, the company enhanced its capital and launched intensive restructuring that will lead to an improvement in results in the business years to come”. He added, “We cannot be happy with 2015’s financial performance, however, good foundations have been laid through growth in some of the markets, fleet expansion, improved passenger services and new opportunities on the Estonian market, which opens up prospects for long-term relationships with regional carriers and the search for mutual synergies, which is crucial for the success and existence of regional companies in Europe”. So far this year, Adria has seen its passenger numbers decline as several unprofitable routes were discontinued. This has resulted in the airline’s passenger share at Ljubljana Airport to decline to some 60%. In the coming years the Slovenian carrier will also have to address its fleet and renegotiate aircraft leasing terms. Next year, the lease for one of its Bombardier CRJ700 jets will expire, while leasing arrangements for six CRJ900s, which make up the bulk of Adria’s fleet, will end in 2018, 2020 and 2022. Leases for three Airbus A319s run until 2021 and 2024.